« Telex / How Do You Dance? 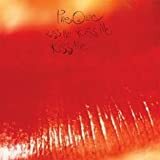 The entry 'The Cure / Kiss Me Kiss Me Kiss Me (Deluxe Edition -Rhino-)' was posted on 2013/03/25 at 20:00	and last modified on 2013/09/19 at 15:16, and is filed under New Wave. You can follow any responses to this entry through the RSS 2.0 feed. You can skip to the end and leave a response. Pinging is currently not allowed.